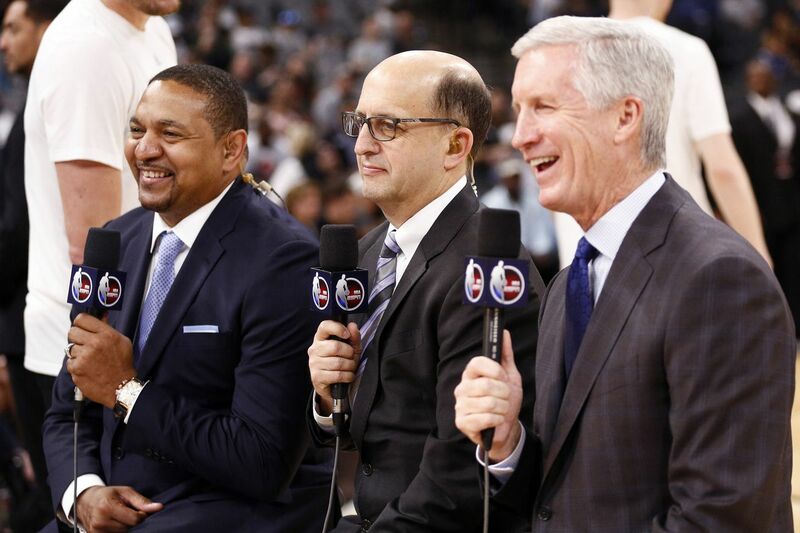 Welcome back to the NBA’s best new national TV showcase. One of the best parts of the NBA season in recent years, the ABC Saturday Showcase, makes its return to the schedule on Jan. 18 when the Lakers play the Rockets at 8:30 p.m. EST. While the nightcap would be a better matchup if LeBron James wasn’t out with a groin injury, it’s a perfect showcase for Houston guard James Harden, who is setting the league on fire with his offensive game. Those of us who are truly invested in this sport often take for granted that the rest of the country isn’t watching Harden go for 58 against the Nets on League Pass. And if you haven’t seen Harden play in a while, the great Tom Ziller explained one of the Beard’s recent inexplicable box scores, when he went for 36 points on 32 shots while shooting 1-for-17 from 3-point range. Even without LeBron, Harden is worth the watch all by himself. He’s destroying opposing defenses to the point where teams are employing all manner of gimmickry in an effort to slow him down. (Mike Prada had a terrific breakdown of Milwaukee’s strategy last week.) There’s simply no one like Harden playing basketball right now. That’s the whole point of the Saturday night showcase games. From the moment this series launched four years ago, it’s had the feel of a Big Event that other network games can’t match. We live in a world where there’s national broadcasts nearly every night of the week, but there’s something special about Saturday night. Over the years, we’ve had overtime thrillers and embarrassing blowouts. More than that, we’ve had season-defining moments, like when Gregg Popovich flummoxed Golden State with a switch-everything defensive scheme that is now practically industry standard in March of 2016, or when Draymond Green went nuclear at halftime of a game in Oklahoma City in late February of that same season. It’s no surprise that the Warriors will be featured prominently in the upcoming weeks, with five Saturday appearances. What’s fun about these matchups is that Golden State will be tested on the road in Boston, Philadelphia, and Oklahoma City. They also get the Rockets and Lakers visiting Oakland. There’s still nothing like a fully invested Warriors squad, which Denver found out about this week. We also get a Boston visit to Los Angeles, where the Celtics-Lakers rivalry takes on a new dimension thanks to LeBron and Kyrie Irving. Yet another Houston-OKC matchup fills the other slot, and there’s also a 3:30 tip this Saturday between Oklahoma City and Philadelphia that offers all kinds of intriguing matchups: Jimmy Butler vs. Paul George, Joel Embiid vs. Steven Adams, Russell Westbrook vs. Ben Simmons, etc. You’ll note that the Bucks, Raptors, Nuggets, and Pacers are nowhere to be found, but there’s not a bad matchup on the slate. This is the good stuff on the NBA calendar. The NBA as a weekend event is back, and we couldn’t be happier.